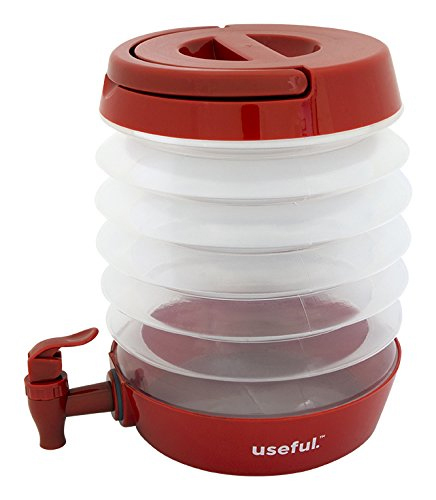 The Useful UH-CB149 110 OZ 3.3L Collapsible Beverage Dispenser is a drink dispenser that expands from 4 to 9 inches tall. The pop-up dispenser is an affordable way to keep the family hydrated at picnics or even just backyard BBQs. When the party is over and it’s time to go back inside, the drink dispenser collapses for easy storage — but it’s probably best to finish the beverages first.